My Heart was melted today - My wife called me her Hero! I shot this photograph of my wife about a year ago. Isn't she beautiful? Her heart is even more beautiful! Our lives have gone through tremendous change in the past two years. The most significant of which is my heart, my relationship to myself, and my relationship to God. My pride, two years ago, was wrapped up in my ability to create wealth. There is nothing wrong with making money, but I was one of those who had built my significance on this. I began to believe that I was "all that" because of my wealth and my ability to create it. I had placed wealth on the throne of my life. I was puffed up with pride. Today my wife and I were praying together and when we were done she said something like: "You know, when you were leading our company and making all that money, I respected you, but I must tell you, I respect you more today. I see that your heart has completely changed and it is beautiful. You are my hero!" After which she planted a nice big kiss on my face. I am still crying with joy. Why the tears? I really have changed...and it was noticed by the most important person to me in the world. And...she called me her hero...and meant it! Thank you God! Thank you Carol! Do smells ever give you a flashback into the past? Have you ever sensed a smell only to have a memory from your past come screaming out at you? My wife had fixed a nice lunch and I was working my way from my home office to the kitchen when...WHAM...a smell...and I was greeted by the most wonderful memory from my childhood. I would guess that this "memory smell" found me somewhere around the age of 9 or so. The memory has my grandmother in the kitchen preparing breakfast. 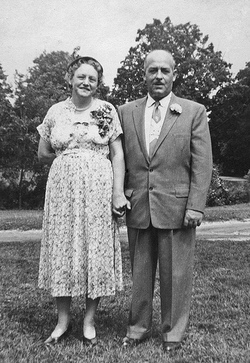 She always made me waffles with my grandfather's home-made maple syrup. My grandmother always had a fruit for us at breakfast as well. This particular memory has her serving strawberries fresh from the garden. I can also hear the old fashioned coffee pot perculating on the counter behind my grandmother. It was her house, however, that I smelled. Not the food. Her house was a late 1800's, or perhaps early 1900's farm house that she and grandpa had remodeled over the years. I suspect the smell, of the house, permeated from the basement. She had a fruit celler down there repleat with a dirt floor. As a kid we were also a little frightened to go into the basement as we feared we might run into a mouse. Even though the floor was dirt, it was meticulously maintained and a casual gaze would find shelf after shelf of produce from her garden. Another favorite thing for us to do, as kids, was to open the "deep freeze" and look at grandpa's frozen pike. Grandpa love to fish and his freezer was always stocked with fish from his fishing trips. Anyway, it was a nice surprise to have some random smell whisk me back about 40 years or so. Like Father like son. 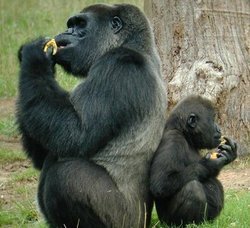 I am NOT suggesting that we come from apes. But I did like this photograph of a son mimicking his father. This is the seventh post in my study of Sinclair Ferguson's text "Children of the Living God". In his text, Dr. Sinclair Ferguson now turns his attention to the family traits that are evident in those who have been regenerated and adopted into the family of God. "According to the New Testament our lifestyle is influenced both by the new life which has been given to us (we have been born of God) and by our adoption into the family of God. We receive new dispositions and enter a new environment. The wonderful thing about the gospel is that these two things are done together. Unlike a human adoption, God is able to give us the disposition of a member of his family. Yet, like natural adoption, we have come from another family, and God needs to keep on saying to us: 'Since you belong to my family now I want to see you behaving like one of my children!' "
In this study, we shall look at the relationship between the new birth and the new life from the apostle John and then look at the relationship between the new Fatherhood and the new lifestyle from the apostle Paul. The Evangelical Christian Publishers Association (ECPA) just announced their 2008 Christian book award winners. Here is a link to the announcement. "Saint Peter", c 1445-1450 by Michele Giambono @ The National Gallery of Art in Washington D.C. This is the third post in my series on the Book of 1st Peter. The resources used in this series are sermons from Jamie Rasmussen (Senior Pastor @ Scottsdale Bible Church), Dr. Wayne Grudem's The First Epistle of Peter: An Introduction and Commentary , and various Internet sources. Here is the link to Jamie Rasmussen's video and/or audio file for this particular sermon. This past Sunday was a very special day at Scottsdale Bible Church. Hundreds of people came to know the Lord Jesus Christ through a spiritual rebirth and/or made decisions to recommit their lives to the things of Christ. Weeks ahead of this service, the staff had asked prayer teams to seek God and ask that He would move, in a powerful way, in this particular service. On the day of the service, my wife and I, along with scores of other members of the church were in the choir room praying as Jamie was delivering the message. At the end of the 8:15 service, generally the smallest service of the day, we were witness to perhaps 100 people who came forward to accept Christ or recommit their lives to Him. It was a wonder to behold and I am certain that all of heaven was cheering! Please take time to listen to this powerful message. I am not sure what I think of this idea, but I am willing to test this communication tool on my blog. Drum roll please....The Boomer in the Pew proudly presents....Twitter (assuming it doesn't drive me crazy). Just look in the top of the center column and you can see my most recent tweet. I am a newbie to this medium, so be patient with me. If you use Twitter, please leave a comment and share with me how you make it functional. 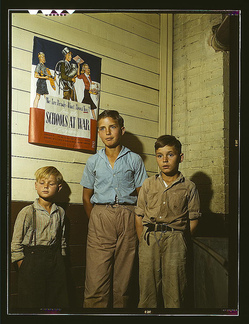 "1943 School Children" from the National Library of Congress on flickr. I found this photograph on flickr's growing collection of vintage photographs from the Library of Congress. This photograph screams nostalgia and is even somewhat reminiscent of a Rockwell painting. Being somewhat new to Arizona, I was surprised to see that many schools are back in operation today. In Michigan, where we came from, generally speaking, the schools would start back around Labor Day. I found myself wondering what was chiefly in these children's minds as they entered their first day of school as compared to what today's "post-modern" children might face. Protect my family and me. Forgive my sins, and help me guard against pride and despair. Give me the wisdom to do what is right and just. And make me an instrument of your will." 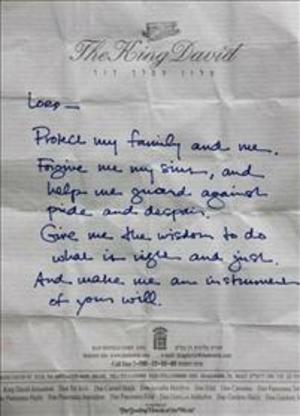 Evidently, Barack Obama left this note tucked in a small crack in the wailing wall in Jerusalem during his recent trip. Unsurprisingly some one swiped the note and now here it is for all the world to see. 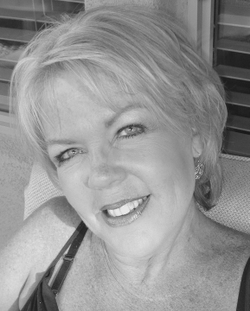 Even on my little blog here in Scottsdale, Arizona! First of all I pray that this isn't a publicity play but that these contain the true affections of Obama's heart. It isn't for me to judge and therefore I won't even discuss this matter. What I would like to say is directly to Barack Obama himself. If it is possible for Barack's prayer to travel thousands of miles to me in Scottsdale, Arizona, then I believe it is possible for my little message, to Barack, to travel back to him where ever he may be. If this letter indeed contains the affections of your heart, then I am pleased to see you seeking the heart and wisdom of our most holy God. God, first and foremost, has called us to have regenerated hearts. Mr. Obama, above all else, make certain that your heart is truly regenerated and that your name is included in the Lamb's Book of Life. Secondly, God has revealed Himself, according to His Scriptures, through His Creation, His precious Son Jesus Christ, and His holy written word, the Bible. You seek God's wisdom towards what is right and just. May I suggest, sir, that if this be the true strong and clear affection of your heart, that you purpose yourself to spend time alone with God in His holy Word each day. Much of what you seek is contained therein and it is the Holy Spirit's ministry to quicken the minds of those who truly and earnestly seek the Father's face. I have found that the last six months of my life have been changed so completely, and it is therefore my desire, that your prayer be answered as well, in the same glorious manner. In Christ alone, place your trust. Seek the Father's face and inquire of the Holy Spirit to make known to you the true and narrow path. Mr. Obama, I pray that these words find their way into your heart. A year from now, regardless of your position upon the world's stage, I pray most of all, that you and I can someday, in the future, praise our glorious holy Father, together in heaven for eternity. 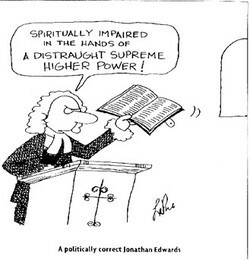 The cartoon, to the left, is a bit of satire from Yale University's Jonathan Edwards Blog. To further our understandings of Jonathan Edwards, I thought I would also point you a 2003 video of Iain Murray entitled, Jonathan Edwards: The Life, the Man, and the Legacy, from the Desiring God National Conference of the same year. This is the 4th post in my study of Jonathan Edwards famous text Religious Affections . I have also created a landing page to hold all of the posts in this study for you here. In my last post we began to explore Jonathan Edwards' assertion that "True religion, in great part, consists of the affections". In that post we worked our way through the first five of his arguments. In this post we will conclude with his final five arguments as well as the end of his first "part". 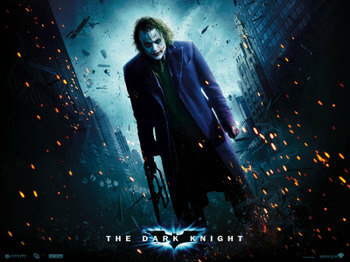 Like everyone else in the world, I was excited to see the new Batman movie, The Dark Night. I chose to see the movie at Scottsdale's Cine Capri theater, which is billed as the largest screen in Arizona. It is also replete with an amazing 9.1 surround sound stereo system. Very cool for those of us that like such things. This movie did not disappoint. It was brilliantly filmed, the music was perfect for the subject, and the sound effects were out of this world. Heath Ledger's characterization, of the Joker, was frighteningly brilliant. He left you clearly disturbed in his portrayal of this madman. I have seen a lot of speculation regarding Heath Ledger's recent suicide and possible connections to his recent portrayal of the Joker. Is it possible that Heath took this character too serious and went into dark and mysterious places that one shouldn't go? I have no idea, and therefore can't speculate. What I was unprepared for, was the reaction of quite a number of the audience members. At several places in this movie, you are watching Heath Ledger, aka The Joker, and you are stunned with his ability to bring forth the dark and insane personality of this character. He accomplishes this so much so, that at several points you feel as though you are watching something so dark, so sinister that you shouldn't be here. His performance was that dark. Then, at one evil climax, the full fury of this sinister madman is clearly evident. The music builds, the camera comes close in, he (The Joker) performs his evil deed and then it is as if you are looking straight into the eyes of Satan himself. At that very moment, while most of the audience was stunned with the evil presented, about 10 Gen Xers started to applause this evil. Cheering! Actually reveling in the portrayal of this evil against the innocents. This...left me disturbed. The movie was a movie. The reaction of these young folks was reality. I left the theater saddened by their reaction. Have we, through scores of very popular demented video games, created a whole sub-culture of those who relish in evil and violence?